리마 - 리마에 있는 호스텔. 리마의 지도, 리마에 위치한 호스텔 사진 및 후기 정보. 리마에 호스텔, 저렴한 호텔, 아파트, 게스트 하우스, B & B를 찾고 계십니까? 리마의 모든 최고의 가격은 kr.Dorms.com안에 있습니다. 매달 수천명의 여행자들이 이곳에서 예약을 진행하시듯이 고객님도 리마의 저렴한 가격에의 호스텔을 안전하게 예약하실 수 있습니다. 웹사이트에 고객님이 원하시는 핫 트렌디 시내 주변의 호스텔을 쉽게 찾을 수 있으며, 대학가, 기차역, 공항, 모든 리마의 관광명소에서 가까운 호스텔을 찾을 수 있습니다. 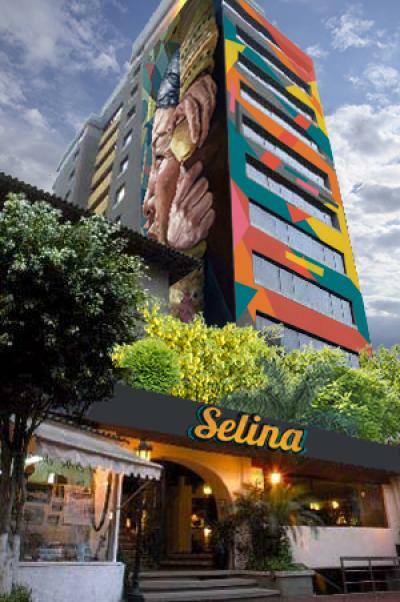 Located in the modern Miraflores district, Selina’s is close to everything you could desire from a touristic viewpoint. Wake up in the coastal areas where you can kick sand in the air and enjoy a relaxing walk along the beach. We’re also not far from the city's center, where you will find Pre-Columbian temples, colorful mansions, and huge, colonial cathedrals. We are 2 blocks from C.C. Plaza San Miguel, PUPC. The location has been designed so that the traveler is among the most important points of a visit to Lima, Peru. It is 1 of the 6 safe districts of Lima. You can find many prestigious restaurants in the surroundings. One of the best staff I've ever encountered!! Great price, great location, clean, wonderful hot shower with good water pressure (yes, very important to me). No doubt, I am coming back. Banks, restaurants, cafes, parks, museums, money exchange, different stores, fast food, tourist information, and more. 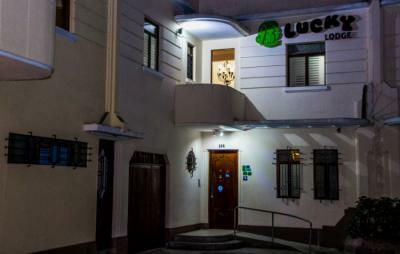 Our hostel is located in a common local area, where you could meet real Peruvian in the street as well as shops, restaurants, and markets. The area is a cheap area. The surrounding could look a little bit strange as foreign person, but it like we Peruvians live. 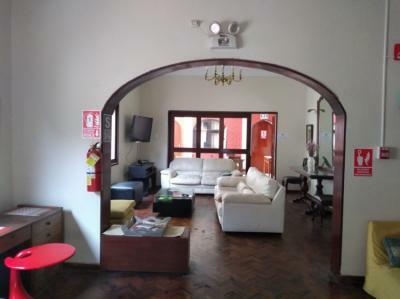 The staff was friendly and the hostel is located in one of the quiet areas in Miraflores The rooms are kept clean and there is good water pressure on the showers. Wifi stability and mattresses could be improved. 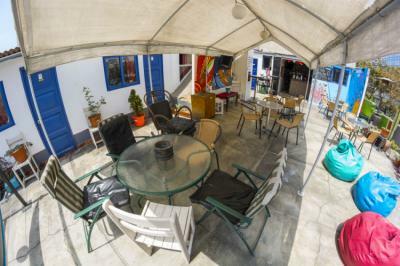 The hostel is pretty affordable considering that most are pricey in the area. They could improve on putting up a common room for travellers to meet other guests. The hostel is in a good location there are restaurants in the area. There is also a fully equipped kitchen that you can use. 나의 체재는 짧았고 (1 박 숙박) 놀랍게도 매우 즐거웠다 - 숙소는 맛있는 아침 식사 (많은 과일과 신선한 주스)를 준비하기 위해 하마카스와 그들 자신의 요리사에서 차게하는 큰 테라스와 더불어 매우 멋진 대기와 저녁 식사를위한 가정적인 지방의 요리를 가지고있다 채식 요리를 포함해서. 경험에 대해 나에게 공항과 매우 가깝다. We are located one block away from the Malecón Cisneros, near a road to the beach, bike paths, and public transportation. There are several restaurants, bars, cafes, and stores within walking distance. Our hostel is located next to Sargento Pimienta rocm Bar, which is a touristic and famous bar with a lot kf years working as a rockers singers has to start. 놀라운 위치의 훌륭한 장소. 해변 옆에있는 평온한 오아시스와 아름다운 미라 플로레스 (Miraflores)의 밤문화 산책. 편안한 침대, 좋은 밤 바다 공기와 수면. 돈을 위해 큰 가치. 나는 리마를 통해 한 밤을 보냈다. 분위기는 매우 조용했고 거기에 많은 손님이 없었습니다. 아침 식사는 고전적인 빵, 달걀 및 주스로 멋지고 심플했습니다. 위치는 미라 플로레스 (Miraflores)를 탐험하고자하는 모든 사람들에게 매우 좋았으며 공항 고속 버스로 공항에서부터 모든 곳까지 쉽게 걸어 갈 수있었습니다. 직원은 매우 좋았습니다. 특히 David는 훌륭하고 도움이되었습니다. Spacious room, clean, friendly people, great location, good price. Thankful. Its clean!!!!! The place is clean - room, beds, common areas. I loved it. They have full kitchen, but also near restos. Hosts were friendly and accommodating. Enjoyed my stay. 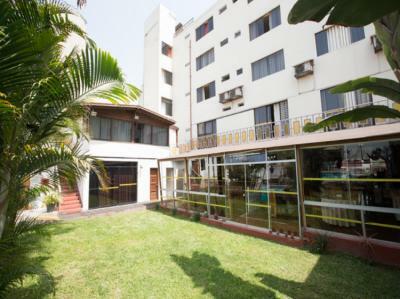 Perfect Location Between non-stop entertainment, nightlife, world-famous food, and cliff-top ocean views, Miraflores is undeniably the place to stay in Lima. Limas historic downtown is right next door where you can find endless shopping, and must see museums. We are only a 5 minute walk from Makaha Beach where surfing, paragliding, bike tours, and beautiful sunset views all await you. You will feel at home here in the safest, most friendly neigborhood of Lima. Nirvana Hostel은 미식 레스토랑 바, 박물관, 커피 숍, 기념품 매장을 찾을 수있는 최고의 미라 플로레스 (Miraflores) 지구에 있으며, 주말마다 라이브 음악과 음식 축제로 가득한 훌륭한 나이트 라이프를 자랑하는 바랑 코 (Barranco)의 보헤미안 지역으로 제한됩니다. Mon séjour s'est très bien passé à Dragonfly, autant pour les prestations de l'auberge que pour les gens que j'y ai rencontrés. J'aurai juste aimé un yaourt ou un fruit en plus lors du petit-déjeuner. Very friendly and helpful staff. Good location and good atmosphere. Though it could have been &agrave; bit varaner. Great place. Good terrace bar plus quiet rooms. Hot showers. Good wifi. 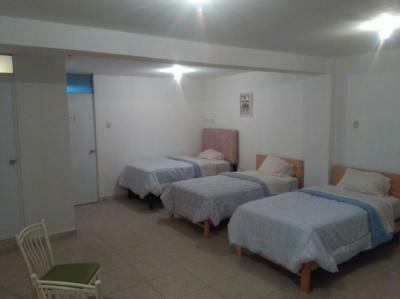 Hostel close to Miraflores. Good location. This hostel / Hotel is nice and firendly staff.